This weekend, come be a part of a music performance and workshop with Metaphor — a crew of hip-hop artists who build community empowerment and social justice through their performance and facilitation. Metaphor's latest show, Elements, combines poetry, rap, turntablism, beatbox, percussion and interactive music. Elements come together to form a greater whole. As the artists perform their individual talents, the show begins to synthesize their skills and expose the power that is inherent when we all connect and unite. These artists use music and participatory games to explore themes of inclusion, exclusion, bullying and acceptance. 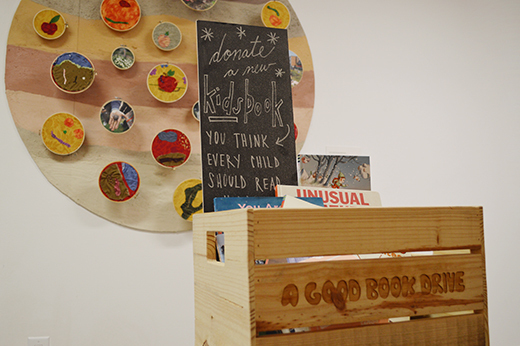 If you're visiting the ArtStarts Gallery this weekend, please consider bringing one of your favourite kids books to donate to A Good Book Drive! Books can be dropped off at ArtStarts until the end of November. Learn more about to get involved.